JMJD5 KDM8 H3K36me2 胎生致死 n.d.
JMJD2D JHDM3D, KDM4D 明らかな異常の報告なし n.d.
1) Berdasco, M. & Esteller, M. (2010) Dev. Cell, 19, 698–711. 2) Hayakawa, T. & Nakayama, J. (2011) J. Biomed. Biotechnol., 2011, 129383. 3) Kooistra, S.M. & Helin, K. (2012) Nat. Rev. Mol. Cell Biol., 13, 297–311. 4) Wagner, E.J. & Carpenter, P.B. (2012) Nat. Rev. Mol. Cell Biol., 13, 115–126. 5) Ueda, T., Nagamachi, A., Takubo, K., Yamasaki, N., Matsui, H., Kanai, A., Nakata, Y., Ikeda, K., Konuma, T., Oda, H., Wolff, L., Honda, Z., Wu, X., Helin, K., Iwama, A., Suda, T., Inaba, T., & Honda, H. (2015) Blood, 125, 3437–3446. 6) Klose, R.J., Kallin, E.M., & Zhang, Y. (2006) Nat. Rev. Genet., 7, 715–727. 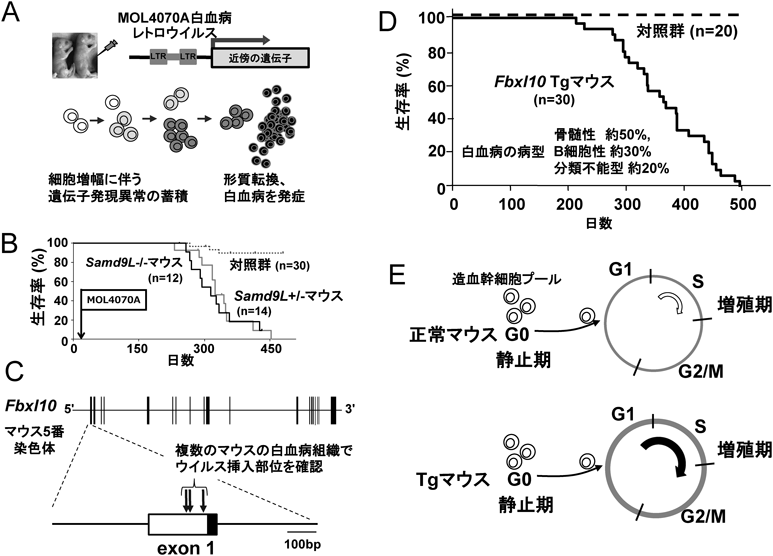 7) Fukuda, T., Tokunaga, A., Sakamoto, R., & Yoshida, N. (2011) Mol. Cell. Neurosci., 46, 614–624. 8) Inagaki, T., Iwasaki, S., Matsumura, Y., Kawamura, T., Tanaka, T., Abe, Y., Yamasaki, A., Tsurutani, Y., Yoshida, A., Chikaoka, Y., Nakamura, K., Magoori, K., Nakaki, R., Osborne, T.F., Fukami, K., Aburatani, H., Kodama, T., & Sakai, J. 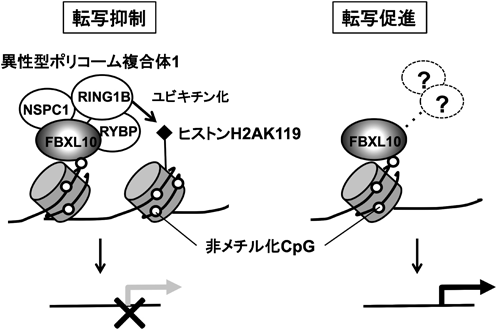 (2015) J. Biol. Chem., 290, 4163–4177. 9) Blackledge, N.P., Farcas, A.M., Kondo, T., King, H.W., McGouran, J.F., Hanssen, L.L., Ito, S., Cooper, S., Kondo, K., Koseki, Y., Ishikura, T., Long, H.K., Sheahan, T.W., Brockdorff, N., Kessler, B.M., Koseki, H., & Klose, R.J. (2014) Cell, 157, 1445–1459. 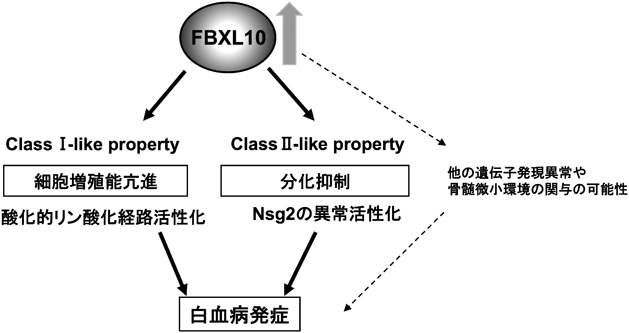 10) Koyama-Nasu, R., David, G., & Tanese, N. (2007) Nat. Cell Biol., 9, 1074–1080. 11) Tsukada, Y., Fang, J., Erdjument-Bromage, H., Warren, M.E., Borchers, C.H., Tempst, P., & Zhang, Y. (2006) Nature, 439, 811–816. 12) He, J., Kallin, E.M., Tsukada, Y.I., & Zhang, Y. (2008) Nat. Struct. Mol. Biol., 15, 1169–1175. 13) Frescas, D., Guardavaccaro, D., Bassermann, F., Koyama-Nasu, R., & Pagano, M. (2007) Nature, 450, 309–317. 14) Farcas, A.M., Blackledge, N.P., Sudbery, I., Long, H.K., McGouran, J.F., Rose, N.R., Lee, S., Sims, D., Cerase, A., Sheahan, T.W., Koseki, H., Brockdorff, N., Ponting, C.P., Kessler, B.M., & Klose, R.J. (2012) eLife, 1, e00205. 15) Wu, X., Johansen, J.V., & Helin, K. (2013) Mol. Cell, 49, 1134–1146. 16) Polytarchou, C., Pfau, R., Hatziapostolou, M., & Tsichlis, P.N. (2008) Mol. Cell. Biol., 28, 7451–7464. 17) Tzatsos, A., Paskaleva, P., Ferrari, F., Deshpande, V., Stoykova, S., Contino, G., Wong, K.K., Lan, F., Trojer, P., Park, P.J., & Bardeesy, N. (2013) J. Clin. Invest., 123, 727–739. 18) Liang, G., He, J., & Zhang, Y. (2012) Nat. Cell Biol., 14, 457–466. 19) Kottakis, F., Polytarchou, C., Foltopoulou, P., Sanidas, I., Kampranis, S.C., & Tsichlis, P.N. (2011) Mol. Cell, 43, 285–298. 20) He, J., Anh, T.N., & Zhang, Y. (2011) Blood, 117, 3869–3880. 21) van den Boom, V., Maat, H., Geugien, M., Rodriguez Lopez, A., Sotoca, A.M., Jaques, J., Brouwers-Vos, A.Z., Fusetti, F., Groen, R.W., Yuan, H., Martens, A.C., Stunnenberg, H.G., Vellenga, E., Martens, J.H., & Schuringa, J.J. (2016) Cell Reports, 14, 332–346. 22) Ma, X.Q., Robin, C., Ottersbach, K., & Dzierzak, E. (2002) Stem Cells, 20, 514–521. 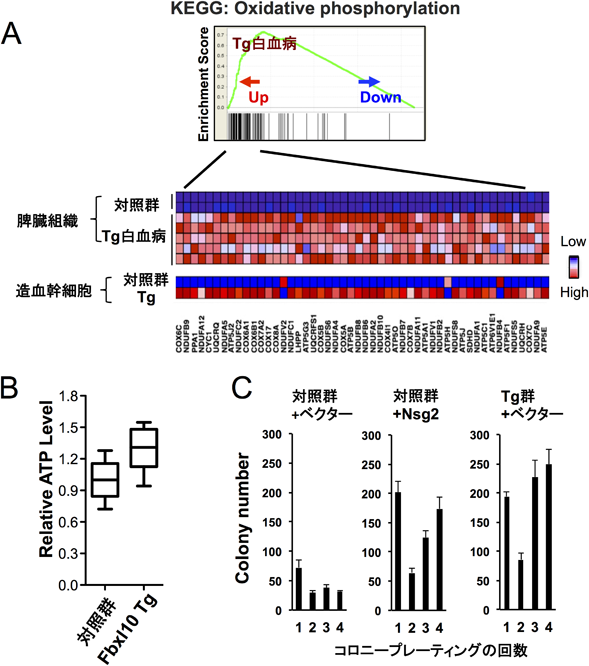 23) Nagamachi, A., Matsui, H., Asou, H., Ozaki, Y., Aki, D., Kanai, A., Takubo, K., Suda, T., Nakamura, T., Wolff, L., Honda, H., & Inaba, T. (2013) Cancer Cell, 24, 305–317. 24) Cairns, R.A., Harris, I.S., & Mak, T.W. (2011) Nat. Rev. Cancer, 11, 85–95. 25) Vazquez, F., Lim, J.H., Chim, H., Bhalla, K., Girnun, G., Pierce, K., Clish, C.B., Granter, S.R., Widlund, H.R., Spiegelman, B.M., & Puigserver, P. (2013) Cancer Cell, 23, 287–301. 26) Janiszewska, M., Suva, M.L., Riggi, N., Houtkooper, R.H., Auwerx, J., Clement-Schatlo, V., Radovanovic, I., Rheinbay, E., Provero, P., & Stamenkovic, I. (2012) Genes Dev., 26, 1926–1944. 27) Gorrini, C., Harris, I.S., & Mak, T.W. (2013) Nat. Rev. Drug Discov., 12, 931–947. 28) Gilliland, D.G. & Tallman, M.S. (2002) Cancer Cell, 1, 417–420. 29) Sabèran-Djoneidi, D., Marey-Semper, I., Picart, R., Studler, J., Tougard, C., Glowinski, J., & Lèvi-Strauss, M. (1995) J. Biol. Chem., 270, 1888–1893.